As one of the contracting States in the International Copyright Rules of Berne Convention for Protection of Literary and Artistic Works, Thailand has since its inception improved its laws with regard to copyright infringement. 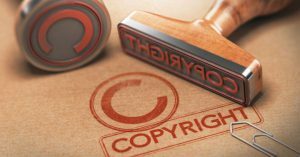 The revised copyright law in Thailand defines copyright as the exclusive right to do any act in accordance with law regarding the work created by an author. Laws on copyright covers literary works, computer programs, dramatic works, artistic works, musical works, audiovisual works, cinematographic works, as well as sound recordings, video broadcasting works but it excludes news and facts, constitution, legislation, regulations, notifications as well as judicial decisions and translations. Registration is not a condition precedent for protection of copyright in Thailand. Thus, an author may bring an action against an infringer for violation of his or her copyright even without registering the work. Nevertheless, it is beneficial for the author to notify the authorities of the work for evidentiary purposes in cases where the ownership of such copyright is brought to litigation. As one of the rights attributed to an author, they may petition the court to grant an order for preliminary injunction against the infringer during or before the infringement. There is infringement of a copyright when a person other than the author of the work created reproduced, adapted, communicate the work to the public, let the copies sold, distributed or imported such work without the prior consent of the author except for personal benefit, non-profit research or study, comment, criticism, reporting, benefit of judicial and administrative proceedings, for teaching purposes as well as when used as a question and answer in examinations. There is reproduction when there is a copying, imitation, duplication, block making, sound recording, video recording or sound and video recording of a material in part or in whole from the original copy or publication without the consent of the author or without proper attribution. There is adaptation when there is a reproduction by conversation, modification or emulation of the original work for the substantial part without proper attribution. There is communication to the public when the work created was made available to the public by means of performing, lecturing or preaching. Copyright belongs to the author in cases where the work was created in the course of the employment unless otherwise agreed upon by the employer and the employee. However, copyright on commissioned work belongs to the person who commissioned the work unless there is a stipulation to the contrary. Copyright is assignable and except in cases of inheritance, the assignment of the copyright must be made in writing signed by the assignor and the assignee. Where the duration of the assignment is not stated in the contract, the same is fixed for 10 years. Copyrights for literary works last until the end of the 50th year after the death of the author. In cases where there are several authors, the duration of the copyright is until the 50th year after the death of the last surviving co-author. However, if the author died before the publication of the material, the copyright extends until the 50th year after its first publication.